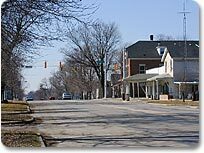 East Germantown, Indiana is located in Jackson Township along the National Road in western Wayne County. 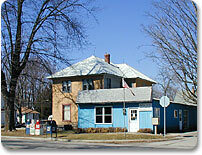 Children in this community attend Western Wayne Schools. 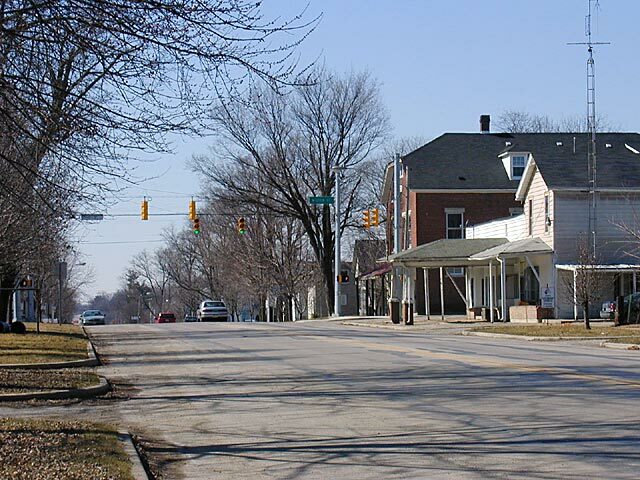 "The battle over the name of Pershing or East Germantown started during World War I. The name German was not liked so well due to the conflict with the German nation and since General Pershing was the U.S. military leader, people started using that name. 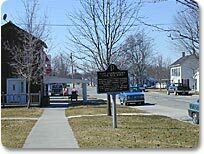 But this caused some conflict in the minds of many when a resolution to adopt the name of Pershing was introduced by the town board. 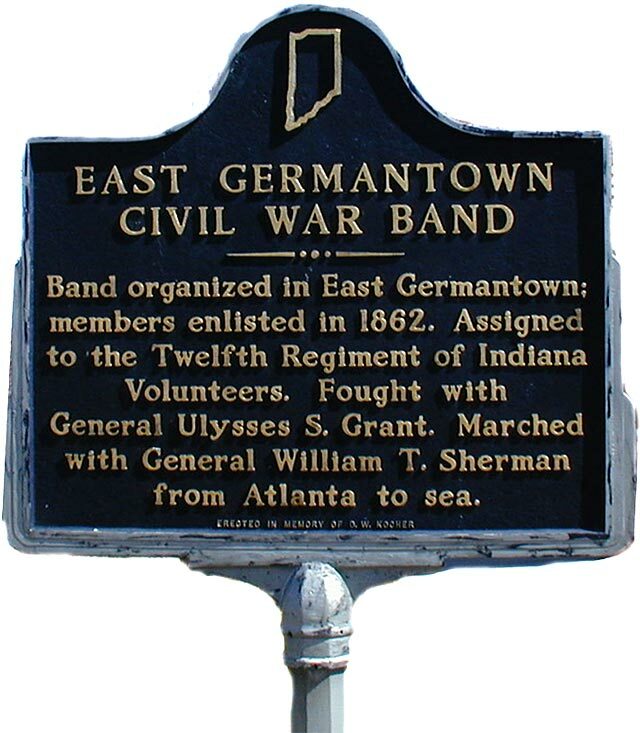 A faction of people campaigned the day before the vote to decided the name issue in order to leave it as East Germantown. 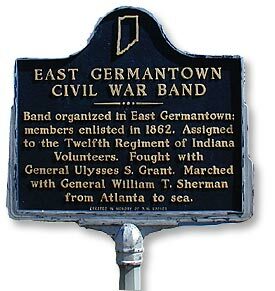 They reportedly told people since their deeds called for the name East Germantown, changing it to Pershing would invalidate their ownership. Since people of the town had no way of checking against this before the election, Lamott2 said the vote went for East Germantown. 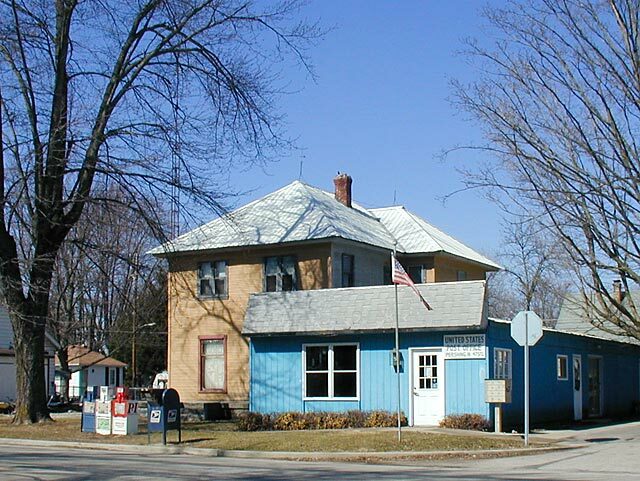 But the postmaster at the time, Frank Sipe, was interested in using the name Pershing and succeeded in getting the postal department to get the name changed, said Lamott. However, the railroad continued with the name East Germantown since there is another Pershing in Fulton county." 2Ernest Lamott, secretary-treasurer of the town board and also with the Indiana State Highway Department in 1959.